Liam Neeson's surprising comments about race last week lost him a fair number of fans. Without prompting, he told The Independent that when one of his dearest friends was raped over 40 years ago, he wanted to go out and find a black man to "kill." Although he apologized, Neeson found that the black community will not be so quick to forgive. "You have to understand the pain of a black person hearing that," ABC's Robin Roberts told the actor on Good Morning America. Neeson told Roberts that his anger so shocked him (he had a "primal urge to lash out" at someone) that he decided to seek help. "I'm not racist," he said during his ABC interview, adding that it didn't matter what race his friend's attacker was. He would've sought revenge regardless. Still, that won't change the fact that people are upset. So, how have his comments affected his career? Badly. The controversy may have had something to do with Cold Pursuit's chilly opening weekend. 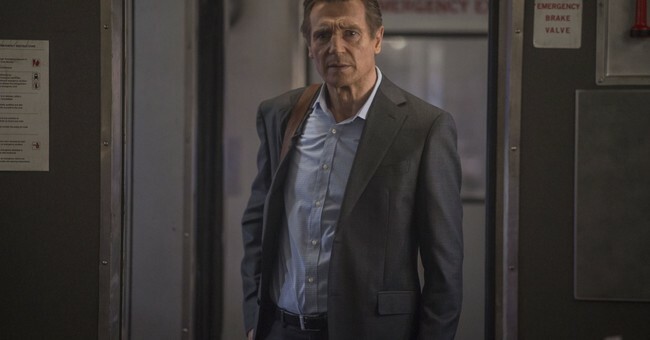 Neeson's new thriller earned only $10.8 million. Critics are also pressuring Sony Pictures to take Neeson out of the new Men in Black: International movie, starring Chris Hemsworth and Tessa Thompson. The film comes out in June. One person suggested Sony replace Neeson with Christopher Plummer, who filmed all of Kevin Spacey's scenes when the latter was written out of All The Money in the World following a string of disturbing sexual abuse allegations.